Allows patients to move with less pain during physiotherapy sessions whilst reducing the risk of further injury. Provides Physiotherapists with an accurate tool to track patient progress, keeping them engaged during rehabilitation. Helps clinics and therapists to set themselves apart by offering the most advanced physiotherapy technology available. Allows Physiotherapists to easily observe and analyse their patients range of movement. 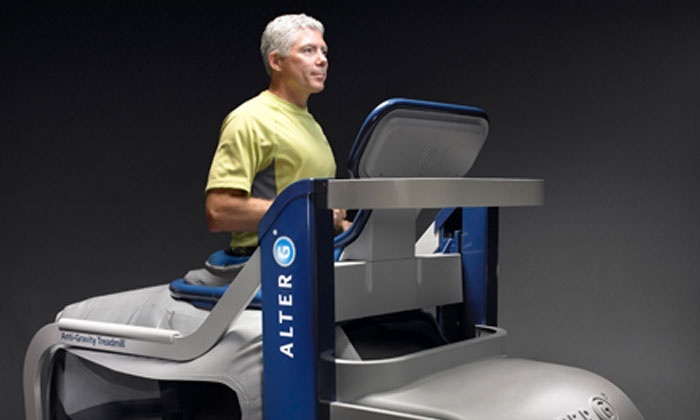 Here is our Alter G Treadmill in use with one of our patients.